Another leaked part allegedly for Apple's next-generation "iPhone 5S" claims to show the fingerprint scanning component that is expected to be concealed under the handset's home button. A component claimed to be Apple's "iPhone 5S" fingerprint scanner. Pictures via Sonny Dickson. 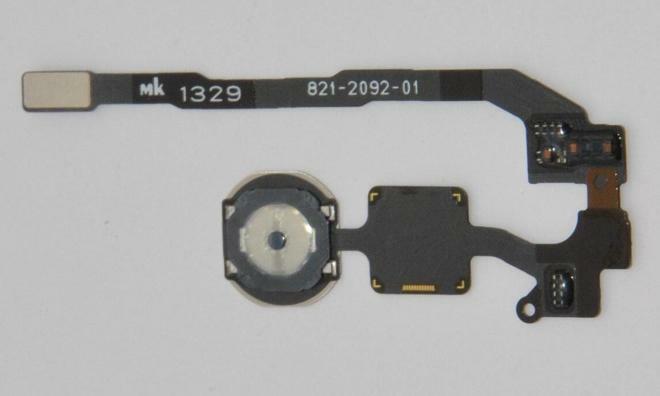 The new high-resolution images published on Thursday by Sonny Dickson show a circular component that is presumed to fit underneath the iPhone home button. At its center is what could be the fingerprint scanning mechanism. Lending some credibility to the validity of the part is the fact that it's identical to another component shown off on Tuesday in lower-resolution images. But the latest pictures give an even better look at the part that could be the defining feature of Apple's next flagship iPhone. 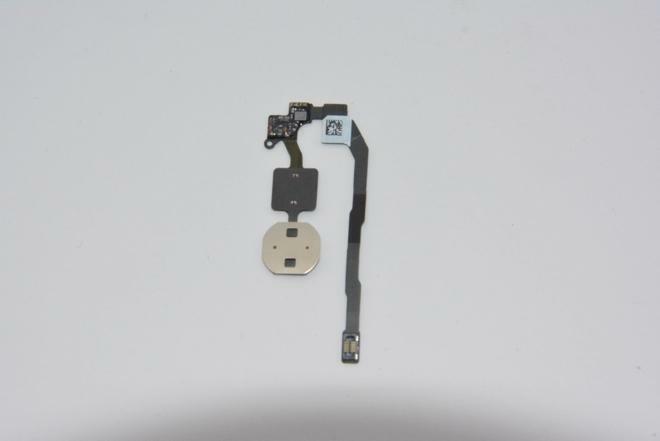 The leaked parts show a home button component that is considerably more complex than the component Apple used in the current-generation iPhone 5. Another leak from last month also suggested that Apple has implemented a number of internal design tweaks to accommodate a scanner beneath the home button. Evidence of the rumored feature was also discovered in a beta of iOS 7. A reference to a "Biometric Kit" and another describing an image of a person placing their thumb over the home button for "recognition" were found hidden within the pre-release software. The rumored "iPhone 5S" feature is believed to be powered by Apple's $356 million acquisition of AuthenTec last summer. The firm described that its "semiconductor-based sensors are based on both capacitive and radio frequency (RF) technology that detects an image of the fingerprint ridge and valley pattern beneath the surface of the skin, thus capturing sharp and clear fingerprint patterns from the live layer." 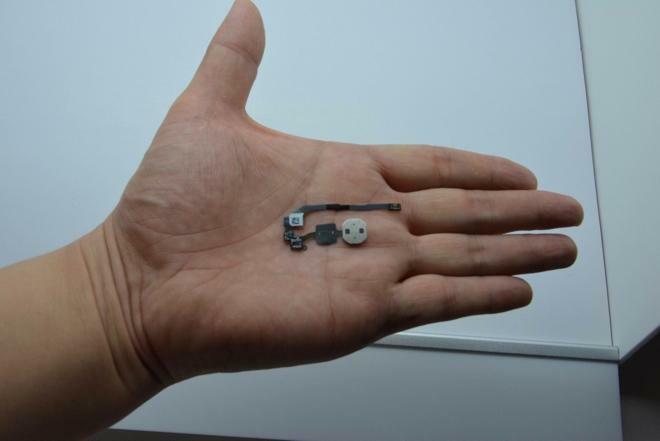 AppleInsider noted more than a year ago that AuthenTec's AES850 component, called "the worlds smallest authentication/navigation smart sensor in a durable package," appeared capable of serving as an iPhone home button. Such a feature could allow an iPhone to securely and quickly identify a user for tasks such as unlocking the device or entering a password.